At one point, growing phalaenopsis orchids was seen as a hobby for the elite as it was considered to be quite costly. However, growing these flowers is now possible for regular farmers mainly due to the technological advancements in the field of tissue culture cloning which have reduced this cost significantly. Phalaenopsis Orchids, What Are They Exactly? In their natural tropical environment, phalaenopsis orchids, popularly known as moth orchids, are said to grow off the branches of trees. Off their domed stems, the plant which has characteristically broad leaves is known to give rise to flat and showy blooms that last for an extended period. 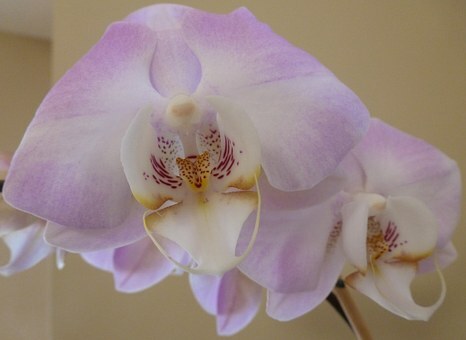 The blooms last for 2 to 3 months, something worth including in the definition of phalaenopsis orchids. The species is considered to be the easiest one to grow of all other orchid species. The leaf width is used to determine the size of moth orchids. The number of blooms you can expect from a given plant increases with this width. Blooming takes place at different times of the year, in many cultivars and hybrids. 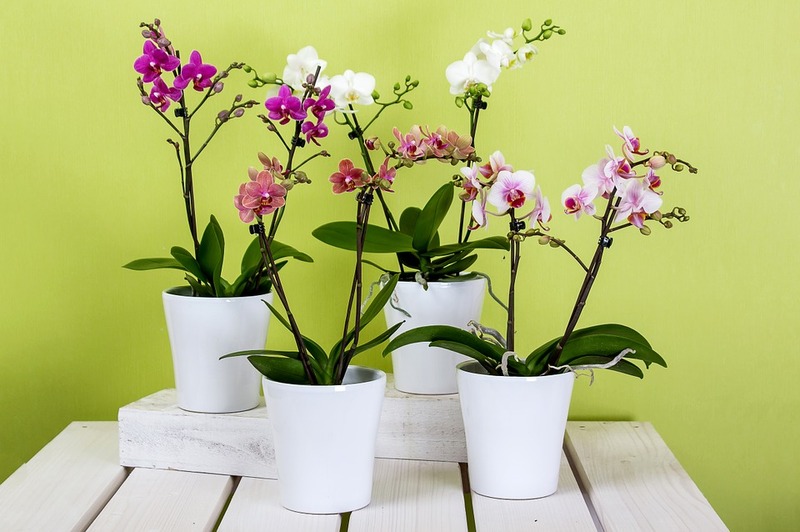 According to the existing literature on the optimum conditions for growing phalaenopsis orchids include normal household temperatures and low or diffused light conditions. 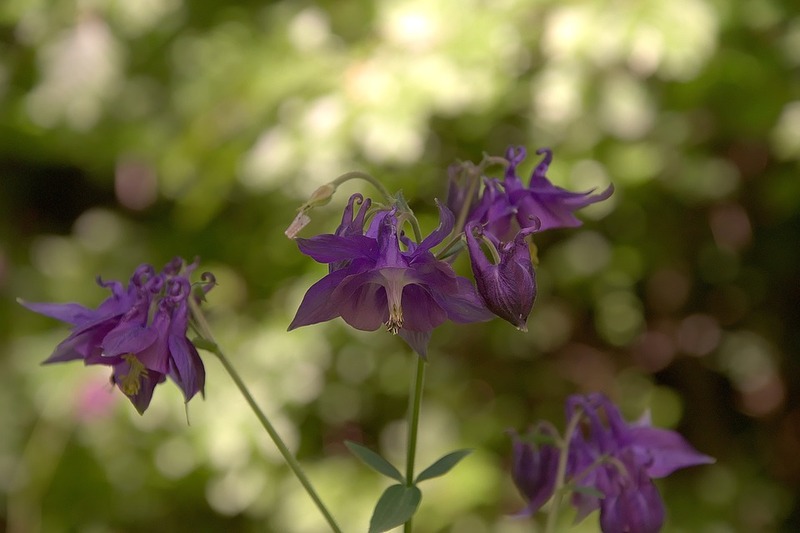 For this flower, daytime temperatures should range between 65 and 75 degrees Fahrenheit, while nighttime temperatures should be 10 degrees lower. Moth orchids can be grown successfully using broad spectrum fluorescent lights. Planting your new plant in the correct medium is the first steps towards mastering the art of growing these orchids. The roots will suffocate and die if you attempt to grow the flower in standard potting soil. You should use a mixture that has a coarse texture, a commercial mixture meant for epiphytic orchids for instance, instead. Alternatively, for growing moth orchids, you can use coarse peat moss, hardwood charcoal, coarse fir bark and perlite to make your very own mix that does not include soil. Without allowing the growing media to dry out completely, you should leave it to dry a bit, but still wet, in between watering periods. You can use 3 ice cubes to water your moth orchids to avoid over watering them, according to some recommendations. The drainage and nutrient retention capabilities of the growing media decreases with time; as such, after every 2 to 3 years you should re-pot your plants. For growing phalaenopsis orchids to develop at an optimum rate, high humidity is necessary. Fifty to 80 percent humidity is sufficient for this. You can mist the plant, place a pebble tray filled with water at the bottom of the plant or use a humidifier to achieve this. When new growth is developing, apply fertilizer to the plant. You can use a houseplant food with the label specifying a balanced 20:20:20 ratio, as an alternative to the primary option of using a fertilizer that is specifically designed for orchids. Introduce the stunning beauty offered by Annabelle hydrangeas into your yard in pink or white shades. 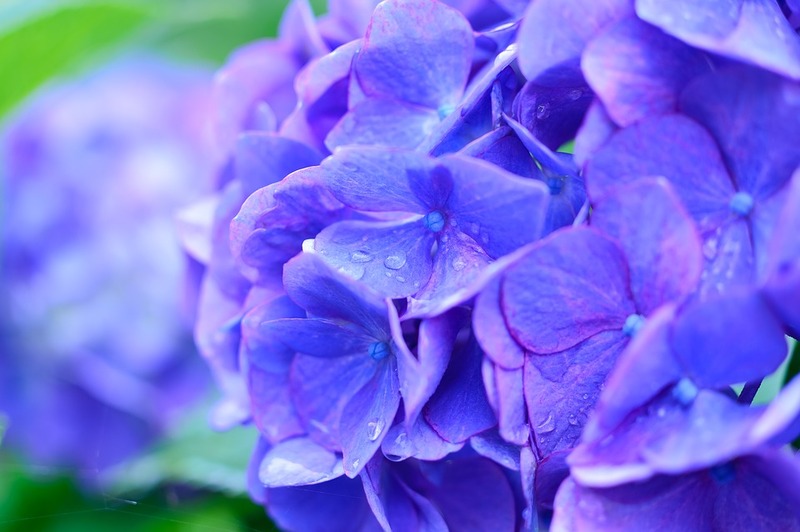 Are you searching for hydrangeas that flower up to twelve inches across? 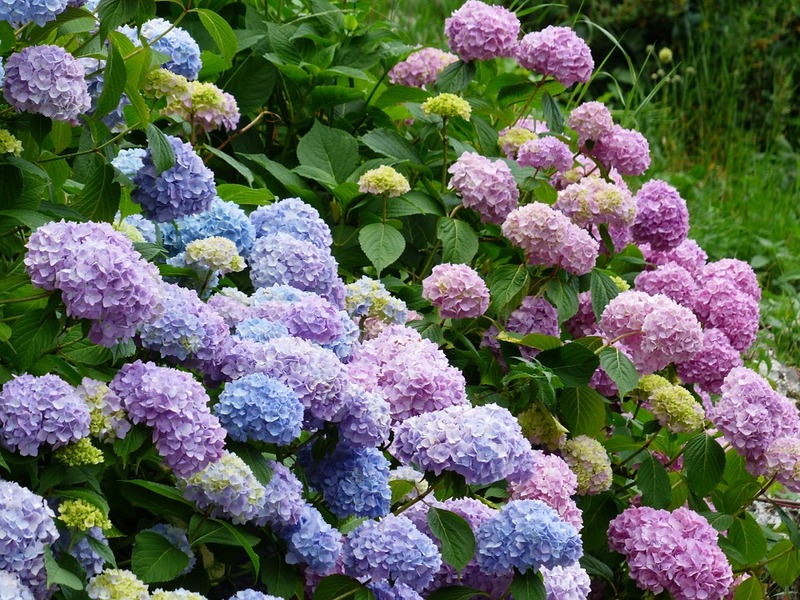 Although the annabelle hydrangea might not be as well know as the pink and blue French hydrangea (also known as Hydrangea macrophylla), it is a hydrangea that is definitely worth considering. ‘Annabelle’ is a cultivar that naturally occurs and was found near Anna, Illinois out in the wild. 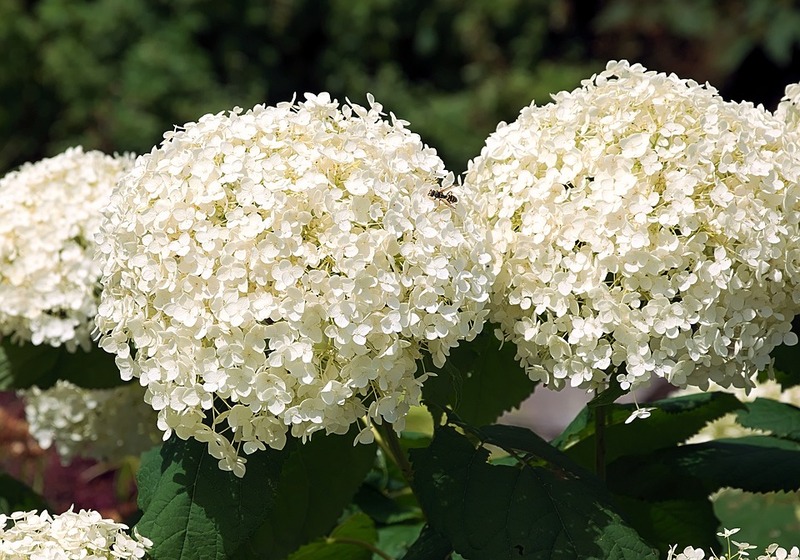 Annabelle hydrangeas are beautiful shrubs with white flower clusters that bloom in the spring and summer. 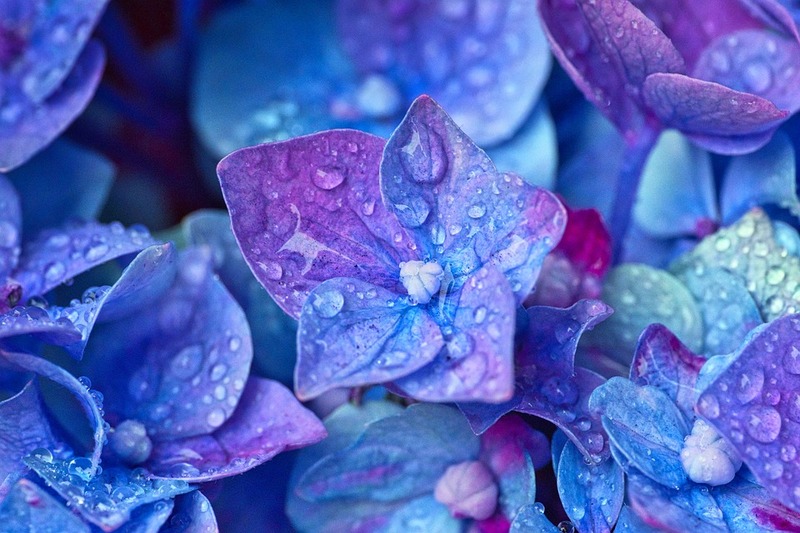 This hydrangea grows well in many different climates if they have well-drained soil, as well as constant shade and moisture during the sunniest times. Annabelle hydrangea is a certain hydrangea variety that produces new flowers every year on its new wood. They grow as hedges very well and can tolerate really heavy pruning also. 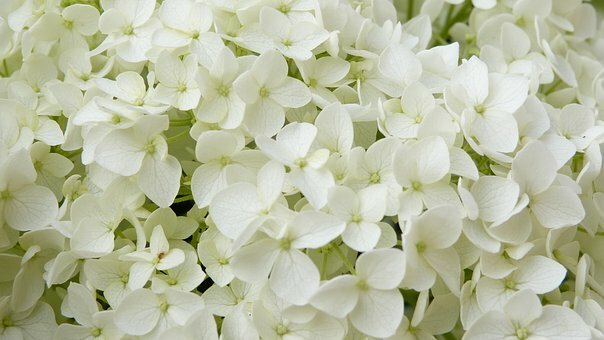 It is known basically as ‘Annabelle’ Hydrangea arborescens, a smooth hydrangea variety. The smooth hydrangea straight species is native to Eastern regions of the U.S. Officially ‘Annabelle’ is hardy for Zone 3, but gardeners located in Zone 2 have reported being successful with winter it over as well. Hydrangeas should be planted in the spring or fall. Dig the planting holes as deep as your root ball is and then two to three times wider. The plants often are able to tolerate full sunlight in coastal areas. However, they need to have shade or filtered sunlight in inland areas during the hottest times of the afternoon. When planting, add compost to your soil. Deeply water the plants right after planting them so that the soil will settle around their roots. Around the base of your plants, add about a 2-inch layer worth of mulch, in order to prevent weeds from growing and to help your soil retain moisture. For hydrangeas, bark mulches or pine needles work well. 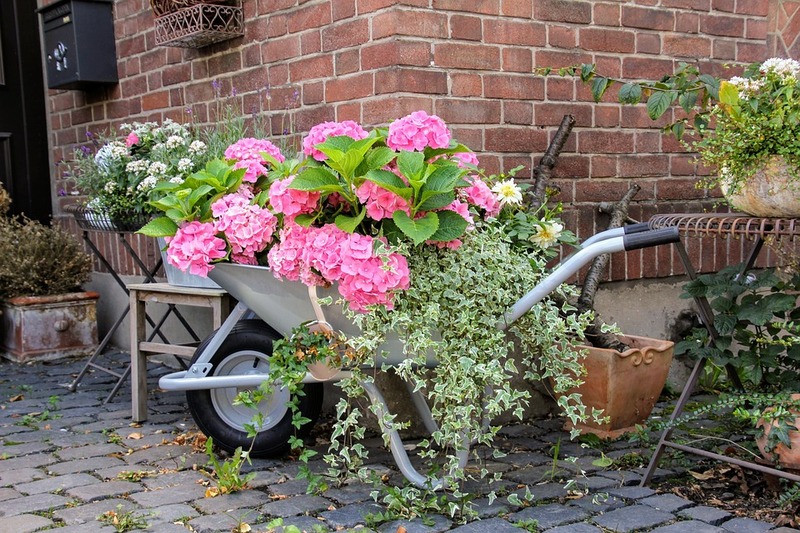 Water your plants enough to prevent the soil from drying out. Over the summer, your plants will need to have extra irrigation if they are getting less than 1 inch of rain in a week. Each spring add a layer of compost on the surface of the soil to provide more nutrients to your plants. Use ‘Annabelle’ hydrangeas in your garden to create a backdrop for an informal hedge or a perennial border. It fits in nicely as well with native plant gardens or mixed shrub borders. ‘Annabelle’ hydrangeas beautifully blend in with woodland settings in the U.S. South with dappled sunlight. Look for a spot that gets afternoon shade and morning sunlight. That is especially important in the West and South, where beautiful hydrangea shrubs are able to thrive successfully in all day dappled high shade. ‘Annabelle’ hydrangeas are able to withstand all day sun in more northern locations. The further north that you live, you need to make sure that your plants receive more sun since too much shade will result in fewer blooms. Whenever ‘Annabelle’ hydrangeas flower, their blossoms open up in rounded, symmetrical heads that are 8-12 inches across. These big flower heads are quite stunning, however, but rains may bend top-heavy stems down to the ground. In order to unobtrusively support the plants, hoop-type stakes can be slipped into the ground during the growing season to support the stems as they are growing. ‘Annabelle’ hydrangeas are planted by some gardeners along a fence to provide them with support. 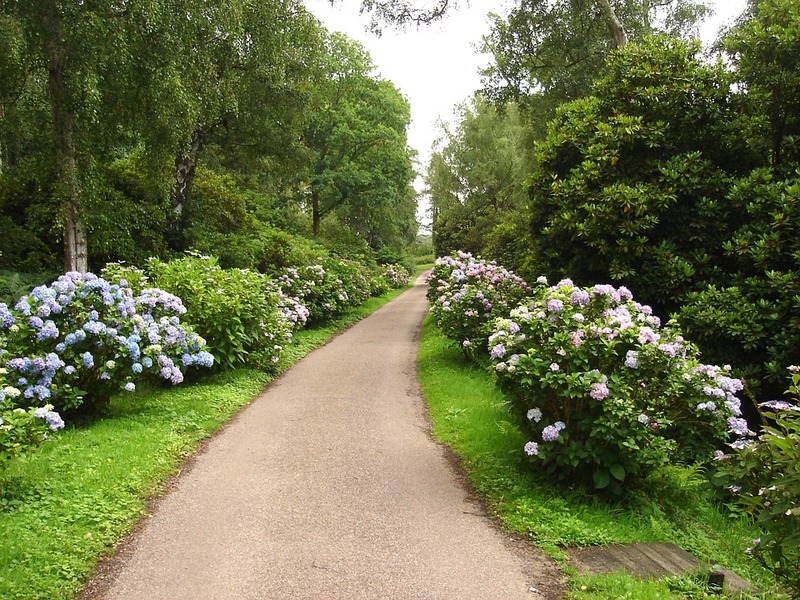 Hydrangeas should be pruned in order to remove crossing, damaged, or dead stems. 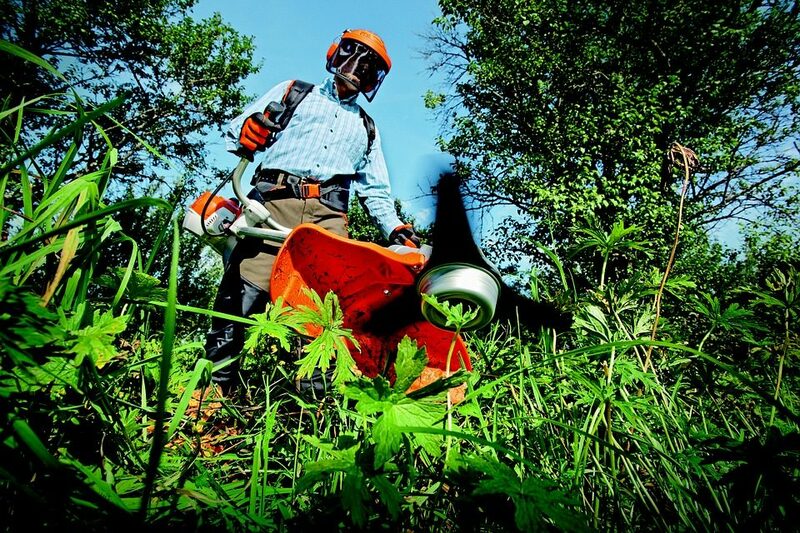 You should also prune on a regular basis as desired during the dormant season. These plants will go dormant after they flower for the final time in early fall or late summer. Annabelle hydrangeas flowers grow on new wood, so they will still flower even when pruned to the ground every year. But they may start to grow weaker canes and have to be staked after being cut year after year to the ground, so it isn’t a good strategy to use. Instead, so less pruning of the stems, and cut them back in the spring 18 to 24 inches (rather than 6 inches). That method will enable the bases of the stems to grow thicker and stouter over time so that they can support the weight of the blossoms. Pruning the stems higher works only in warmer zones where in winter the pants do not die all the way to the ground. One of the most popularly grown houseplant is the orchid. 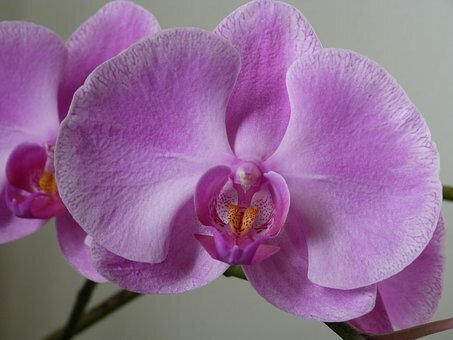 Learning how to care for indoor orchid plants is easy, especially where the correct indoor growing conditions prevail. 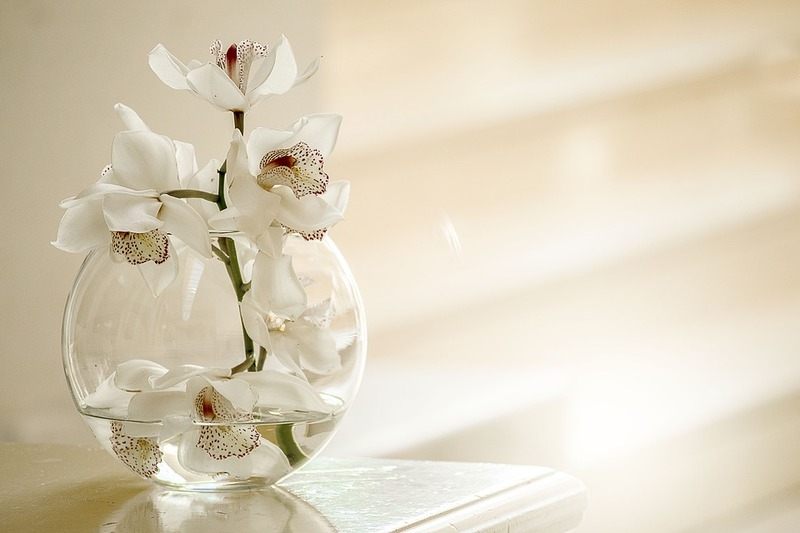 To learn some useful indoor care tips for orchids, read on. Once you learn how to grow orchids properly, looking after them will be much easier. 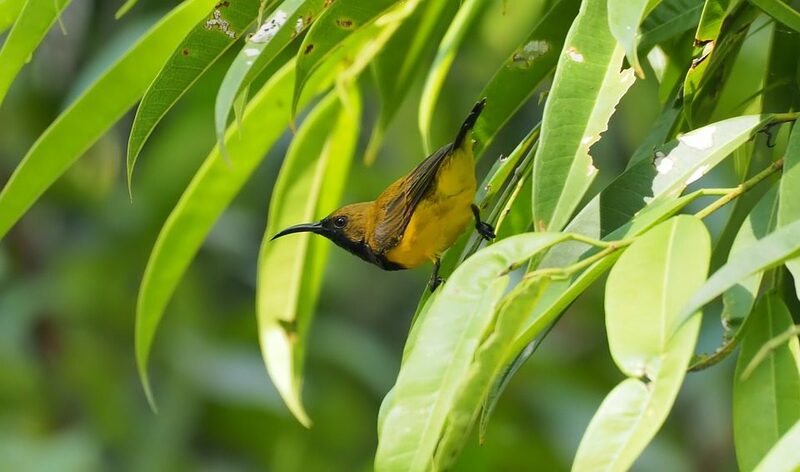 Depending on the specific species, you can find a variety of different sizes and colors. Regardless of the home décor, orchids make for great accent plantings. Once you provide for all their basic requirements, including humidity, temperature and light, these plants need very little care. Wet but well draining conditions are necessary for growing most orchids. 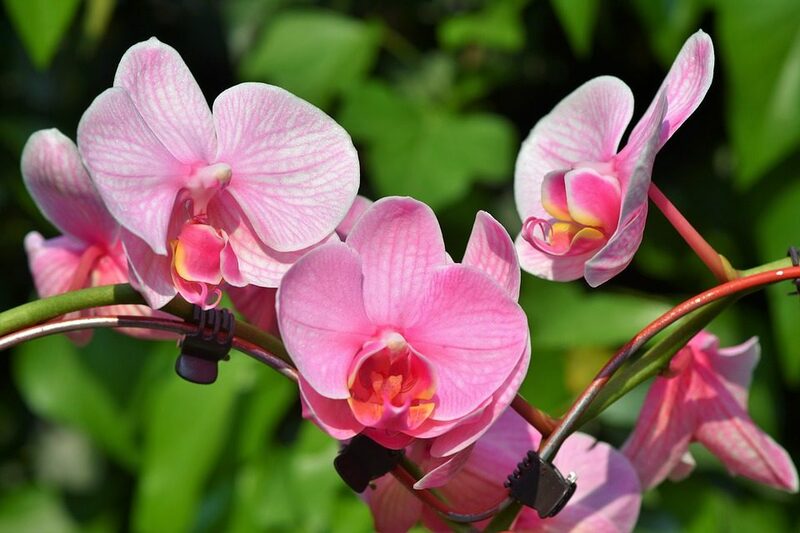 With orchids, you can use a variety of growing media types including cork, sphagnum peat moss, redwood, fir bark, potting soil, charcoal, rocks and sand among others. You can use a basic mix of sphagnum peat moss, fir bark and coarse perlite, for growing these flowers. Optionally, you can add a bit of charcoal. The type of orchid to be grown determines the grade of the bark chosen. Fine bark is the best choice for growing young orchids, while medium bark best suits cattleyas orchids and coarse bark is best for phalaenopsis orchids. Shallow planting is used for orchids. The plants should be placed in a room facing east to south. Bright, but indirect light is great for growing the plants. Poor flowering occurs if the plants do not get a sufficient amount of light. On the other hand, leaf scorch develops with too much light. 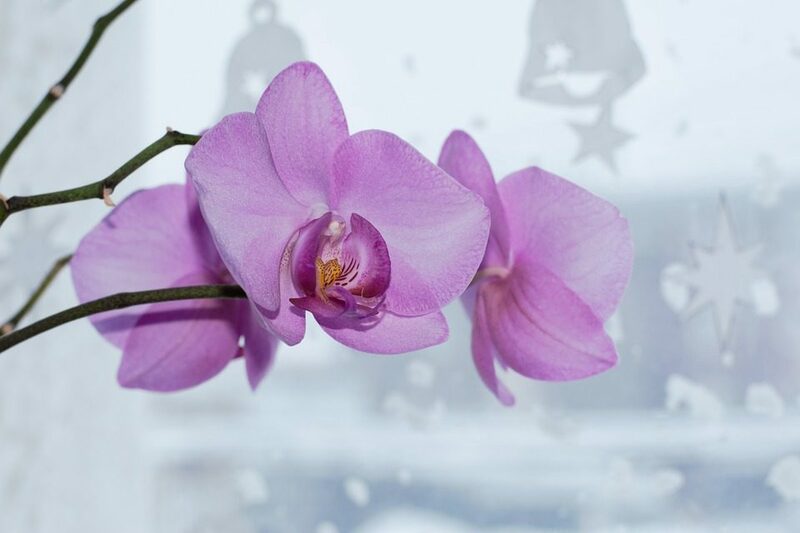 For proper indoor orchid care, temperature also plays a huge role. So as to bloom properly, nighttime temperatures need to be 15 degrees lower than the daytime temperatures even though orchids are known to do well with both warmer and cooler temperatures during their regular growing season. Even though they need plenty of water, allow orchids to dry out in between watering periods. You can poke a finger into the growing media to find out whether the plant needs watering. Do not water unless it’s dry. About 50 to 70 percent humidity is required for growing orchid plants. To increase the level of humidity in your home, you can use a number of strategies. You can use a humidifier, mist the plants every day or simply place a tray of pebbles or saucer filled with water below the plants. 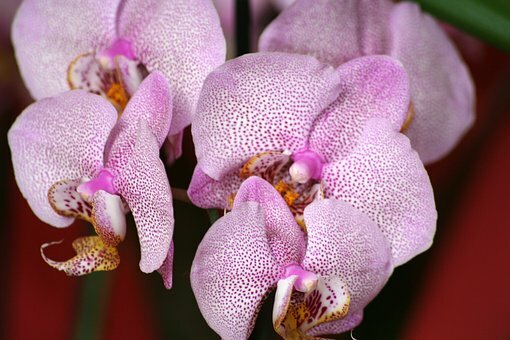 While fertilizer needs to be added to growing orchids once or twice a week, for mature plants, the frequency should be reduced to only once or twice a month. 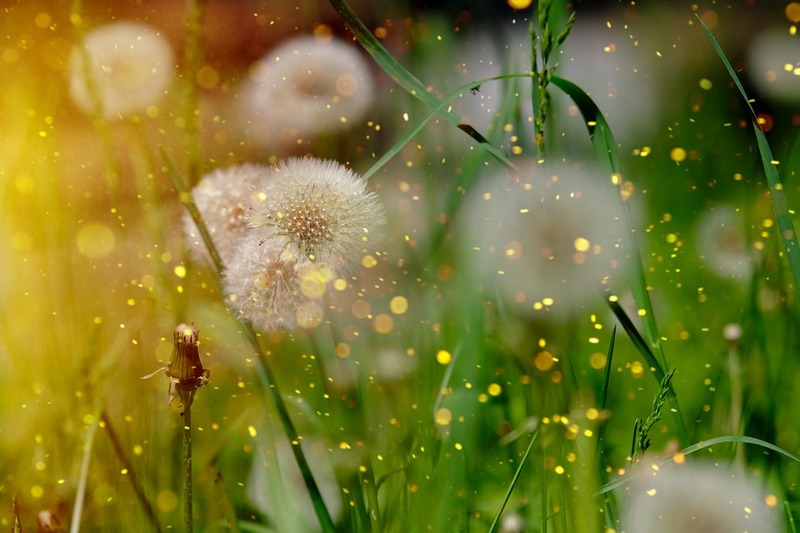 Once the plants go dormant, stop fertilizing. Furthermore, every other year, indoor orchid plants should be re-potted. You should re-pot your indoor orchid plants if they stop blooming all of a sudden even with proper humidity, temperature and light levels. Remember to be on the lookout for diseases and pests. 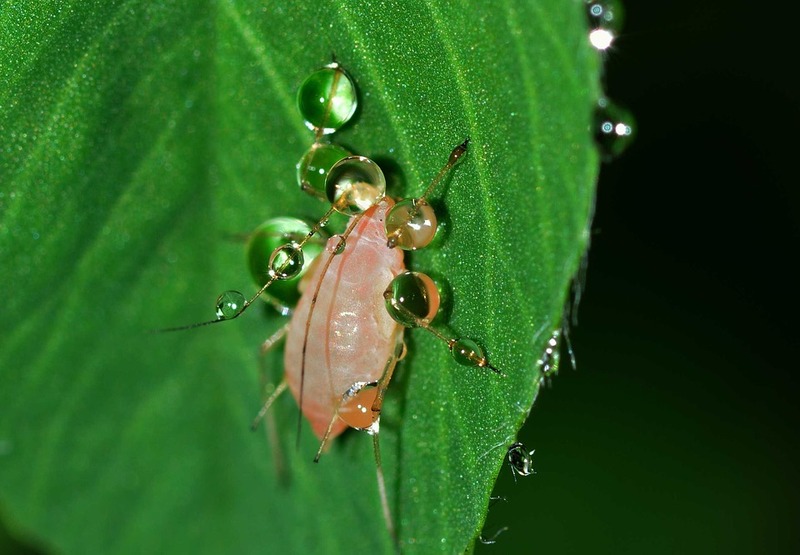 These plants are susceptible to aphid, scale and mealy bug attacks every now and then. You can wash off or use insecticidal soap to get rid of such infestations. 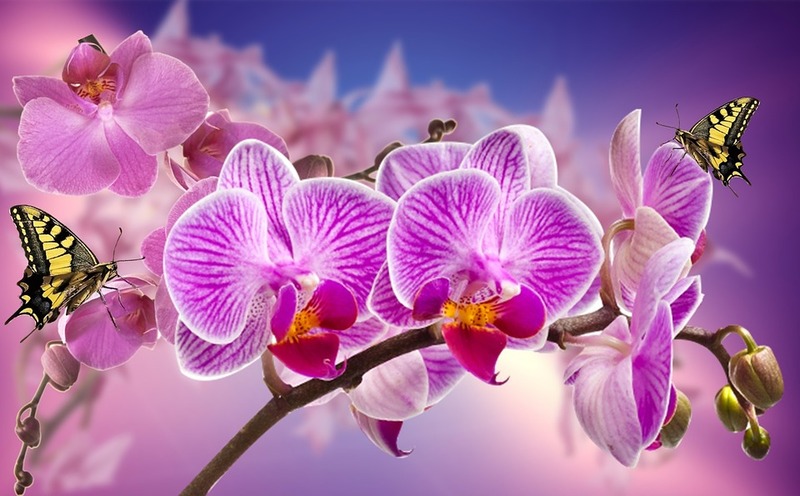 One of the most popularly used and beautiful flowers is considered to be orchids. There are 3 petals and 3 sepals, commonly mistaken for petals on an orchid flower. 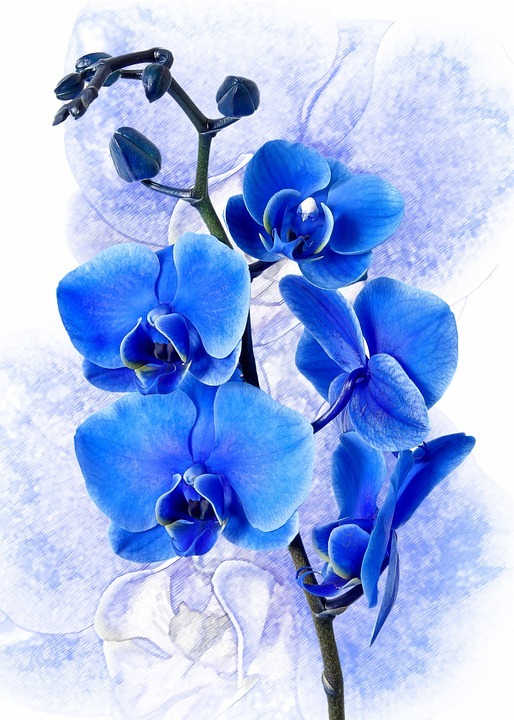 Symbolizing peace, orchids usually have a positive effect on both the giver and receiver of the flower. Orchid flowers can be divided into two symmetrical halves owning to their bilaterally symmetrical structure. Resulting in a beautiful combination, each separate half is exactly the same as the other. Depending on the environment in which they grew in, orchids also differ in terms of their structural characteristics. In warm climates the flower tends to have a thin structure, which gets thicker in dry climates. Seasonal changes also give rise to structural differences in orchids. These are some of the ways in which these flowers differ from each other. Instead of normal roots, orchids have aerial roots. Since they can be sourced from farms, obtaining orchids tends to be much easier, as compared to other flowers. 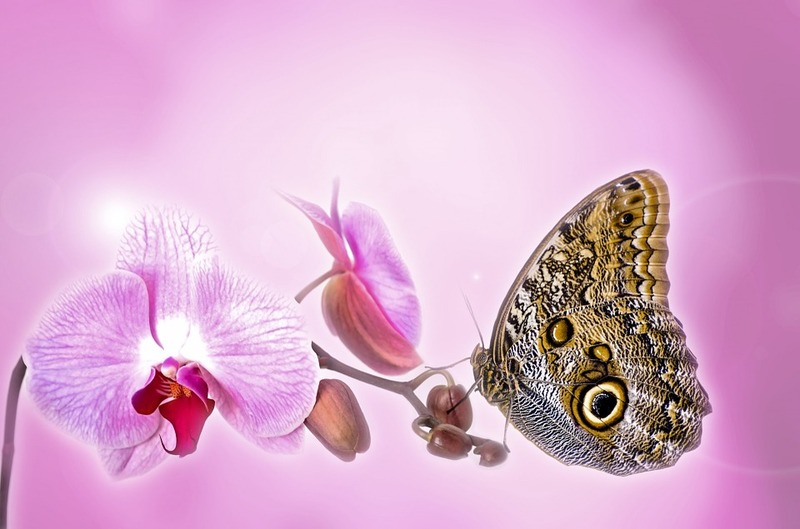 Orchids and insects share a special bond. They are a great flower to have around as they attract a lot of butterflies. Their sweet scent and alluring appearance attracts insects, resulting in a higher rate of pollination. Some of the products we use on a daily basis are made using the highly popular pure orchid scent as a base. There is a wide variety of orchids to choose from given the fact that there are more than 30,000 different species of the flower. These flowers are also used in the production of vanilla extracts owing to their rich composition of vanilla essence. 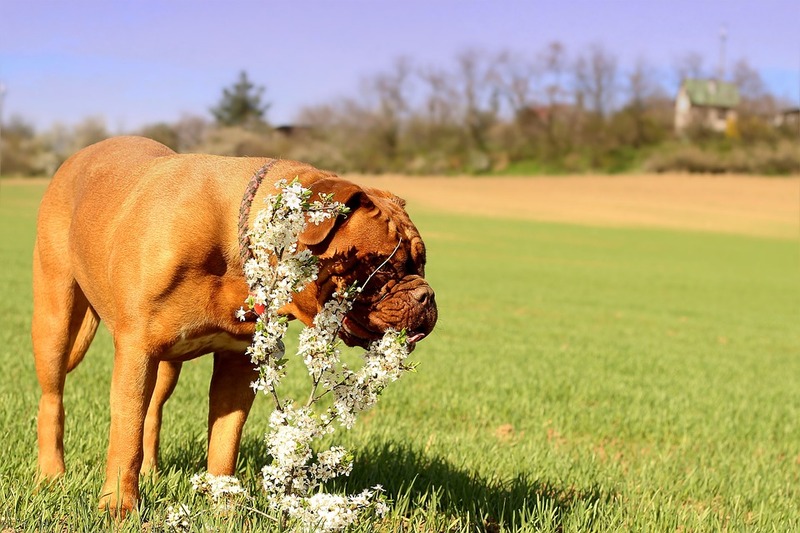 The flower has become very popular as a result of this scent. 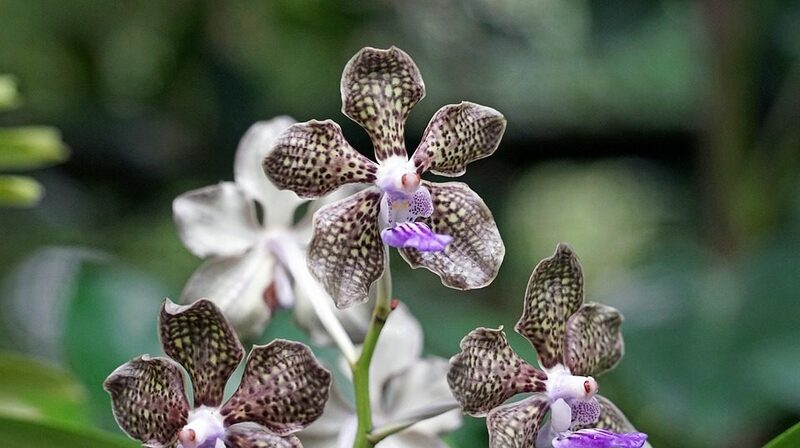 Due to their medicinal qualities, orchids are also used to treat various diseases. Singers usually use orchids to preserve the quality of their voices. A lot of interest towards this flower has been generated as a result of one strange but popular fact. Orchids are known to be quite deceptive, and play tricks on insects. Interestingly, to attract male insects, for pollination purposes, these flowers trick them into believing that they are female insects. The alluring sight of rain drops on leaves, dark forests and frosty leaves is well-captured by the appearance of orchid flowers. Orchids have also become a popular choice for many people simply because of their attractive leaves. The growth of the flowers is influenced by the method of growth used, intensity of light, climate. The uniqueness of this flower can be seen in how it grows. For a firm foundation, these flowers grow perpendicular to their roots. 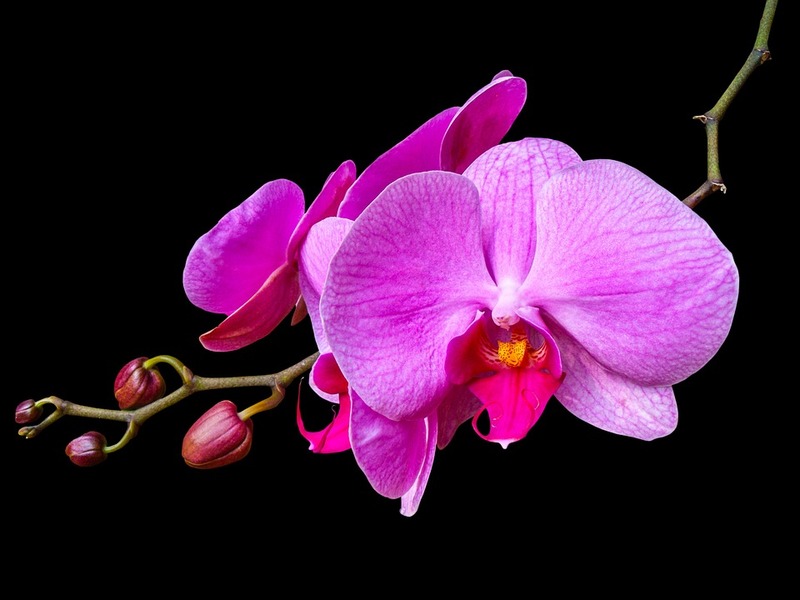 Orchids come in a wide variety of beautiful colors; this being one of their most endearing qualities. 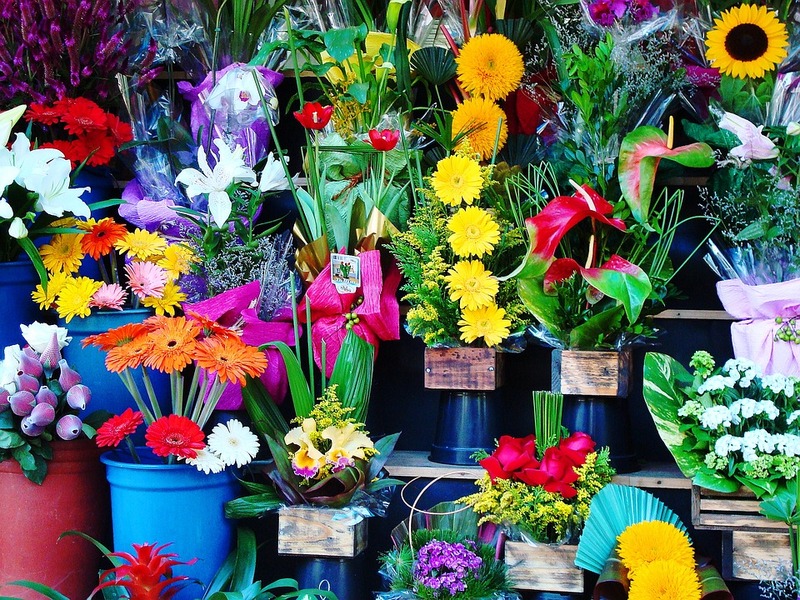 People tend to like the flower at first glance simply because of its eye catching appearance. It is worth noting that even the leaves on the flower have a story to tell about its origins. 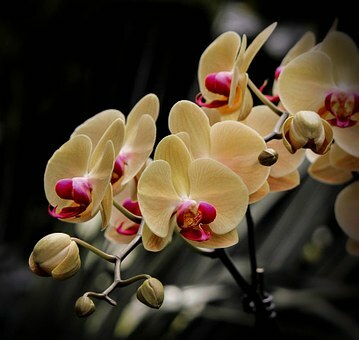 All in all, orchids are beautiful flowers that always capture the attention of all the eyes in the vicinity. 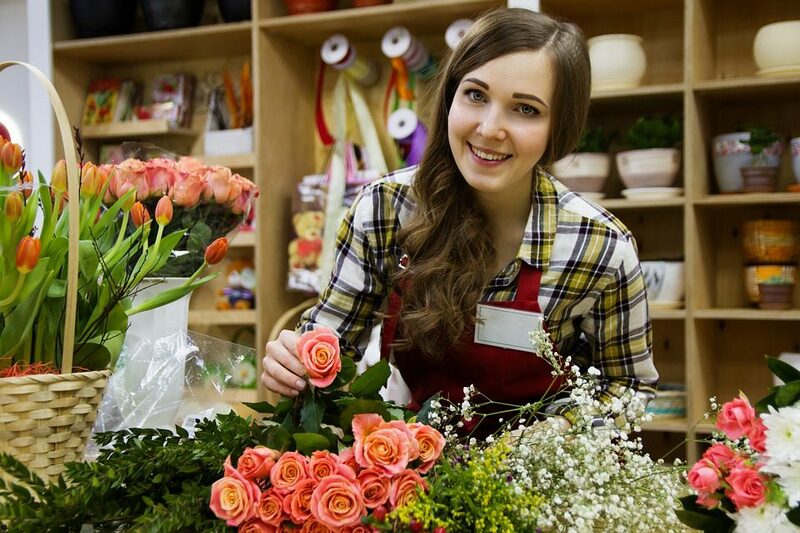 My aunt has a florist shop and she spent a lot of time teaching me a wide range of flower arranging courses. It is not the manliest job that you could dream of having and it does not pay all that well, but obviously I am 16 years old and you have to consider my options. I already worked at a fast food place long enough to know that is an awful job to have. This pays better than that and it is not nearly so greasy and nasty. Of course everyone was really unhappy and they all could not stand the assistant manager, he was a real jerk it seemed to me. So I was really happy to try this instead. 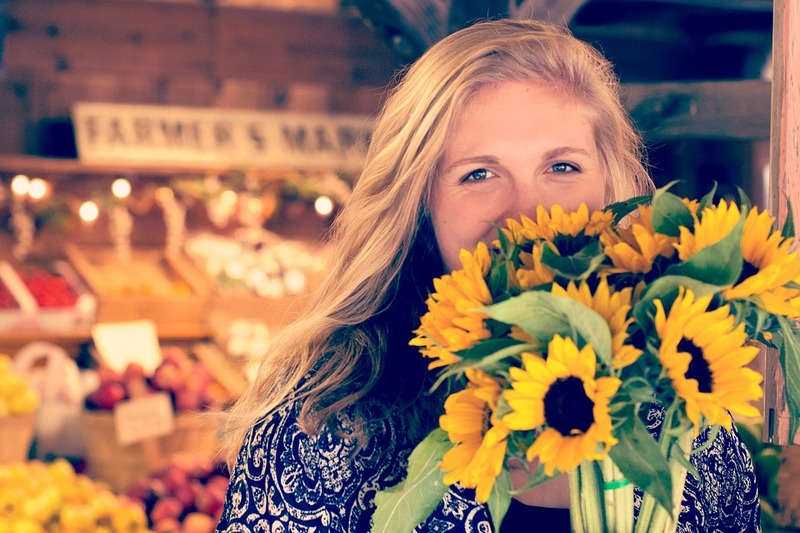 You can work at places like grocery stores. I did that last summer for about a month and a half before school started back and my Mom made me quit to focus on studying. It was not terrible, but it was not very good either. I spent a lot of cleaning up stuff that got spilled and mopping the floors. Then when I was not bagging groceries I would have to go fetch all of the shopping carts out of the parking lot. This was not a normal sized parking lot either. This place probably had four or five acres of asphalt out in front of it. It was really hot too and when it was not hotter than a furnace out there it was raining and usually raining really hard as well. That is just the way that it is in that job and of course it does not get a lot better. The only way to make money in those places is to be in the butchers part of it. Do I Really Need A Tree Company To Care of My Trees? But later on these trees had become too big for me take care of anymore. 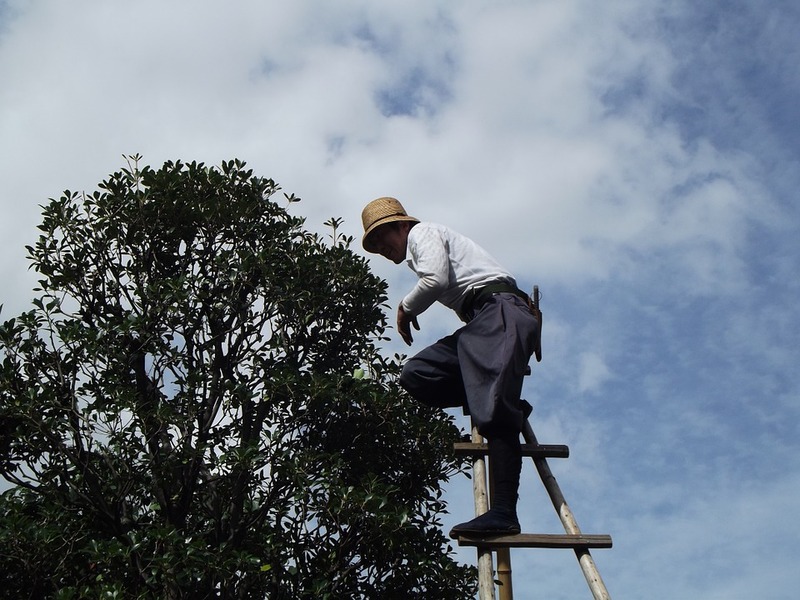 I’m a little bit afraid of heights and do not have the nerve to climb up a ladder or the tree itself to trim and prune. 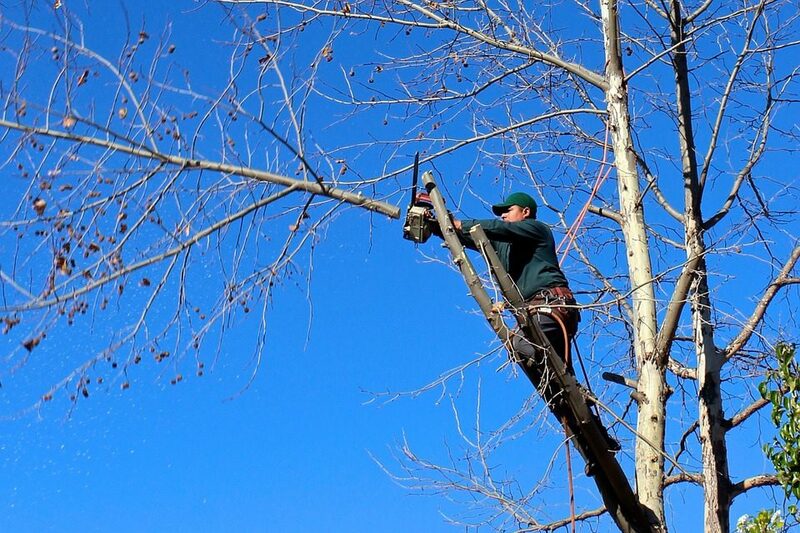 I need to find a company that does tree pruning in Long Island to take over these tasks for me. I want to find the most professional and reliable company in my area to perform annual maintenance on my trees. My next door neighbour suggested one such company that he has been using for the past three years. I’m going to give them a call because my neighbour’s trees are in immaculate condition. I was pleased with the level of professionalism and efficiency I received on the phone. They explained to me that a certified arborist would come to evaluate what needed to be done and would proved a free estimate. We went ahead and scheduled the appointment for this coming Friday afternoon. I’m certainly excited and looking forward to this meeting and look forward to getting a professional opinion on how my trees have been taken care of thus far and what further pruning needs to be done. Regardless of what needs to be done to the trees, I know my wife is going to be happy that I will not be climbing a ladder or a tree. She is so afraid that I’m going to fall and get hurt and I don’t blame her for worrying about me since I fell off a ladder trying to clean the leaves out of the gutters. I’ve owned that machine for many years and didn’t consider that it would break one day. 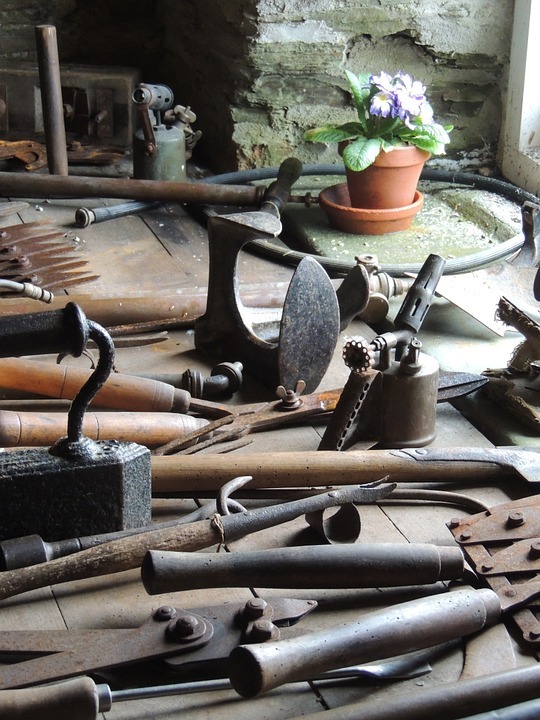 Granted, nothing last forever, especially machines with moving parts, but still, it was a shock to me. I had no idea how to repair it, and there was no one else that I could send it to for repairs, so I just had to find a new one to replace the old machine. Since it had been a while since I’ve done shopping for machines, I thought about what more modern machines could do. I wasn’t expecting anything crazy like laser technology or robotic arms, but I figured the machines of today would have some more sophisticated technique for trimming than the ones that were out around the time when I bought the old machine. At the very least, I hoped they would be able to do the job faster than before or create less of a mess while doing it. I’ve created makeshift solutions for dealing with trimming mess, but it would be better to have something official. The hunt for a new machine lead me to a particular one with a futuristic flair. It looked like something right out of an era with flying cars. The creators of the machine boasted a different method for trimming that would make less mess while getting the best bang for my buck. That kind of efficiency was exactly what I wanted from something that came out after an item from the past. Using the machine turned a tedious gardening task into a quick job wit great results. I used gallons of weed-killing chemicals and synthetic fertilisers just on our small property. We even used synthetic chemicals in our pond where we had our koi fish. Plus, the pump was consuming electricity from the grid every day year round. We started by changing our pond ecosystem to one that was as natural as possible, even though the liner for the pond was a heavy plastic membrane and there is an artificial pump for circulation. The first thing we did was to power the pump using solar energy. We get enough daily wattage to power the pump all day and all night. A simple battery system powers the pump all night. 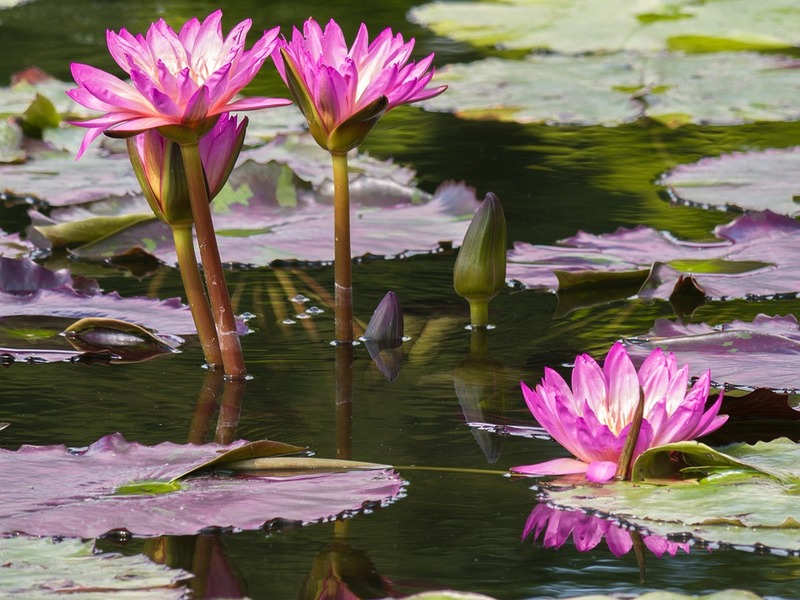 We stopped using commercially produced chemicals, and we started using natural methods to control algae and other issues common to ponds. I learned about using bales of barley grass as one of my first projects of keeping the water clear. The next thing we moved onto doing was to stop using chemical weed killers on our lawn and in our planting beds. We utilised natural mulches, controlling light with how we pruned trees and more to keep our planted areas at a minimum with weeds. We even learned to use ground cover that choked out most weeds. We were really impressed with how natural our outdoor spaces were becoming. We used newspaper as a weed block in the garden, and we would just till it under for the next planting season. Newspaper biodegrades nicely. 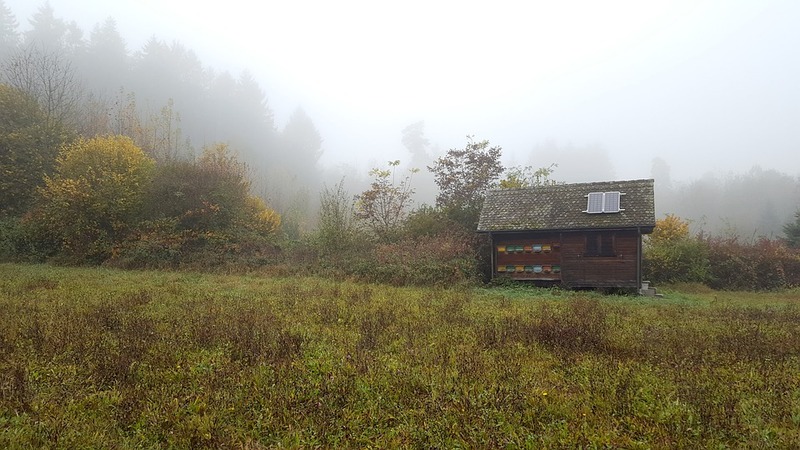 There is a lot you can do to reduce the stress you are putting on the natural environment to make your landscape beautiful. I just think that if you are going out of your way to make nature beautiful in your yard, then you should make it natural too. There are a wide variety ways that you can protect your precious orchids from animals and other dangers. If you have animals near where you live, you don’t want these animals to eat or trample on your prize orchids. If you leave your orchid garden unprotected, the chances are that the animals will destroy your plants. Using netting stanchions to protect your garden is one way to keep your orchid garden safe. One thing that you can do to prevent this is to use a raised bed garden for your orchid garden. You can make this raised garden with compost and soil. Then you can utilise wood to make the garden be higher from the ground. You will also make the sides of your garden very steep to do make a raised garden as well. The next thing that you can try is to put a fence around your garden. This is the ideal way to keep deer out of your orchid garden because a raised garden will not keep the deer out of your garden. Make sure that you buy a fence that smaller animals can’t slip through as well. You will want to keep out small animals like rabbits and other rodents because these can be real nuisances to your orchid garden. Make sure that you choose a fence that is fairly sturdy so that animals can’t knock it down. The great thing about fences is that most animals will not be able to climb a fence. Try to put your fence into the ground as deeply as possible to try and keep burrowing animals out of your orchid garden as well. 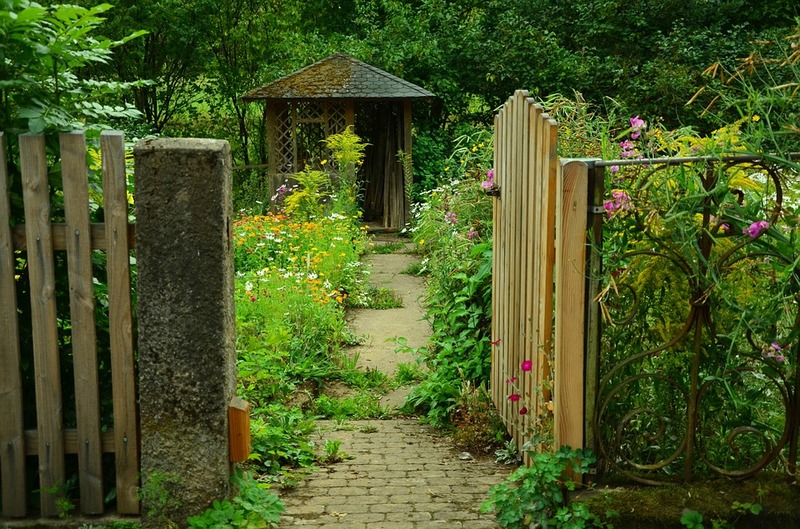 The most important thing that you will want to do is have your garden protected from all angles, so that you can keep these pesky animals out. but on a rather small scale and as a past time. 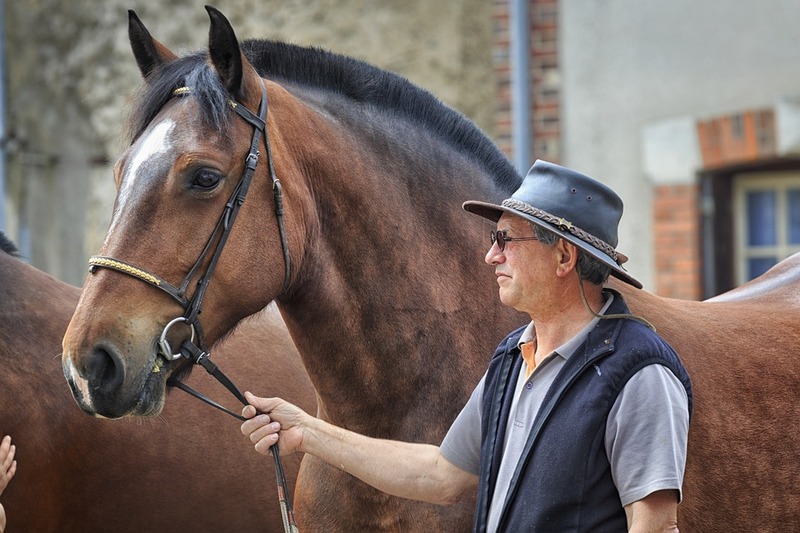 We both had ponies as children and after getting married we managed to find a nice little farm convenient to our jobs. 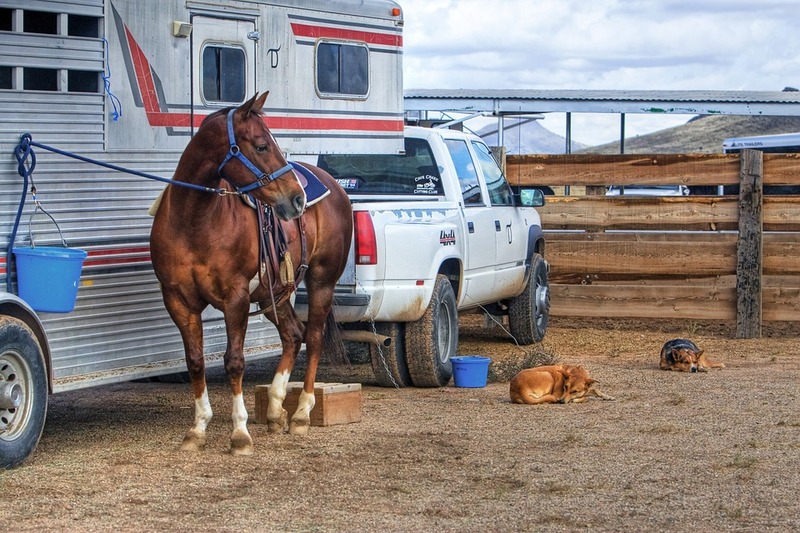 We had a couple of horses and we rode when we were able. Our neighbours looked after them for us when we were unable. 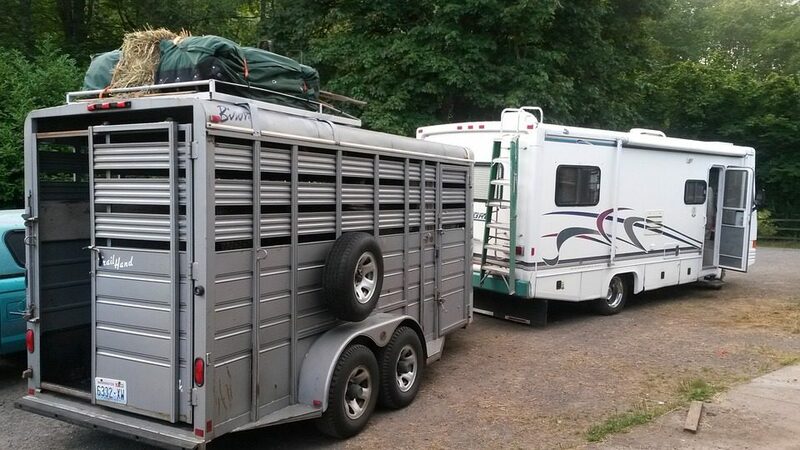 Now, however, we have a daughter with far greater ambitions and we are looking at large horse trailers for sale. She is only 16 now, but she is competing for a spot on the National Equestrian team. My former boss’ ex-wife is largely responsible as she was very keen to see Jess become a great rider and provided her with a lot of instruction.